Paris: Aides of French far-right presidential candidate Marine Le Pen on Tuesday brushed off criticism of her use of phrases lifted straight from a speech by conservative rival Francois Fillon in her May Day address to supporters. 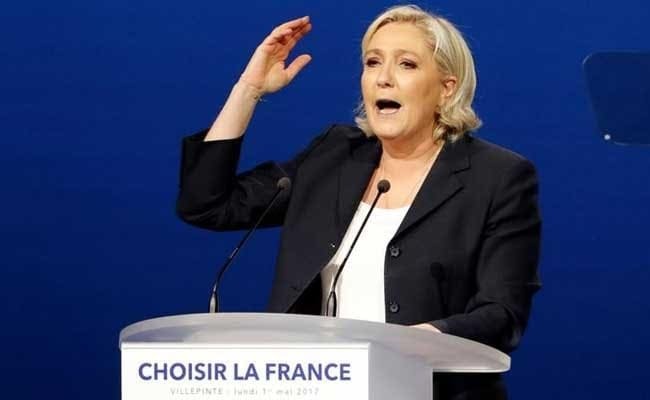 Florian Philippot, deputy leader of Le Pen's anti-European Union, National Front (FN) party, said the party "completely owned up" to the fact that the speech resembled one by Fillon a month ago - similarities that were mocked by her opponents on social media overnight. In a speech to her supporters at a rally north of Paris on Monday, Le Pen - who faces centrist frontrunner Emmanuel Macron in a final, run-off vote on May 7 - spoke of France's long and proud history and the country's roots in western Europe. Le Pen also described France's borders and ties with "Italy, our sister" - again a phrase used in Fillon's April 15 speech.